Aunique’s Peta’s name is Native American Black Foot meaning Golden Eagle. Peta was foaled April 24, 2012. 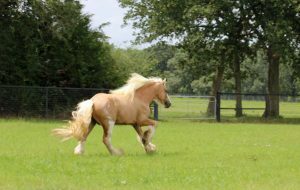 His sire is Shandor of Orcas Island and his dam is Cicis Sugar N Spice. He is from a long line of well known Gypsy Cobs. His paternal Grandsire is Chance du Vallon and paternal Great Grandsire is The Govenor. 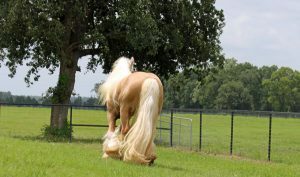 His maternal Grand dam is Cicis Rapunzel and maternal Grandsire is Desert Jewels Flash of Gold with his maternal Great Grandsire being the Boss. 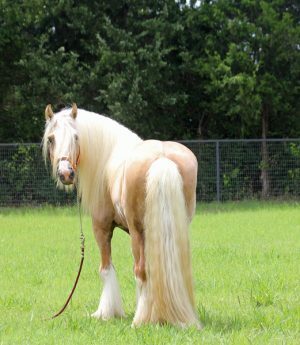 Peta is what is known as a Blagdon Palomino. 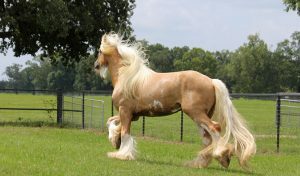 Genetically he is a very special stallion as he carries the prehistoric leopard appy gene. 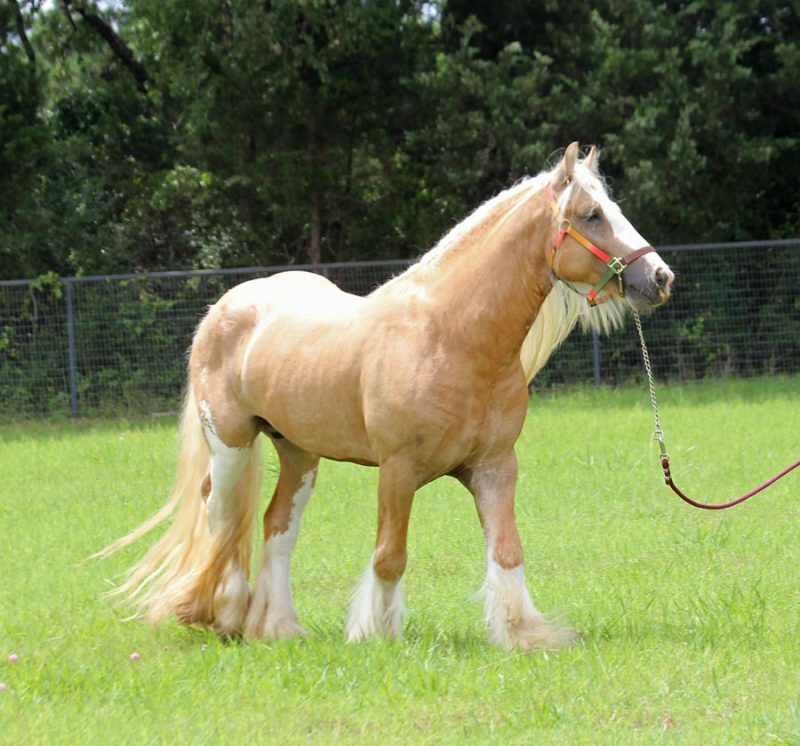 Peta is 15.3hh and registered GHRA. Peta is standing to outside mares. For more information please call 713-203-0683.